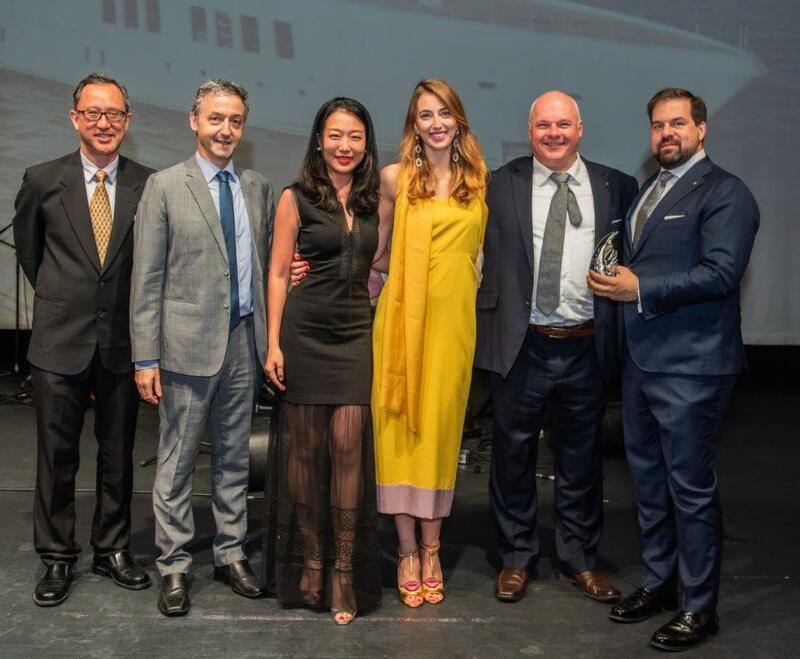 Benetti know-how, the technology used by Mulder Design to develop the hull and remarkable performance are all factors contributing to the victory of the innovative M/Y “Spectre”, built in Livorno, at the Asia Boating Awards 2019 in the Best Custom-Built Yacht category. 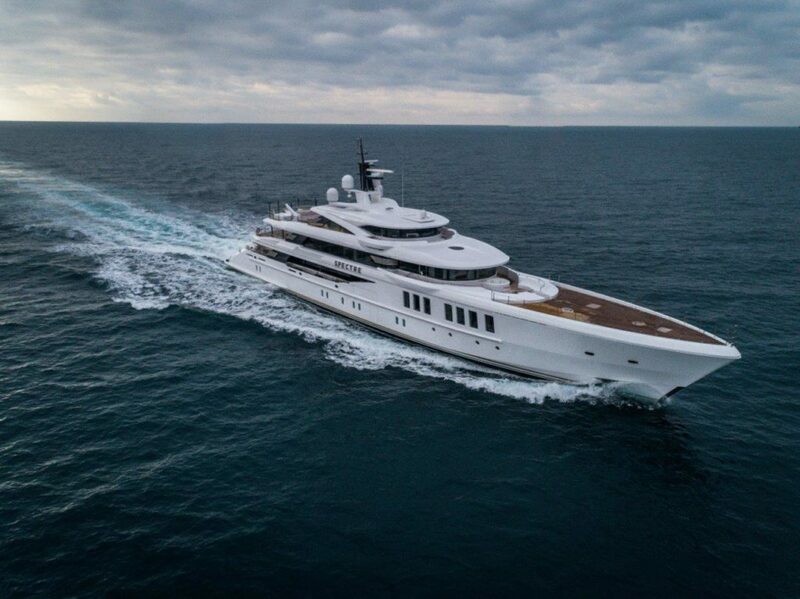 The presentation of this one-of-a-kind craft to the yachting community represents another major milestone for Benetti. The exteriors are by Giorgio M. Cassetta, while the modern interior design is the work of Benetti’s Interior Style Department. 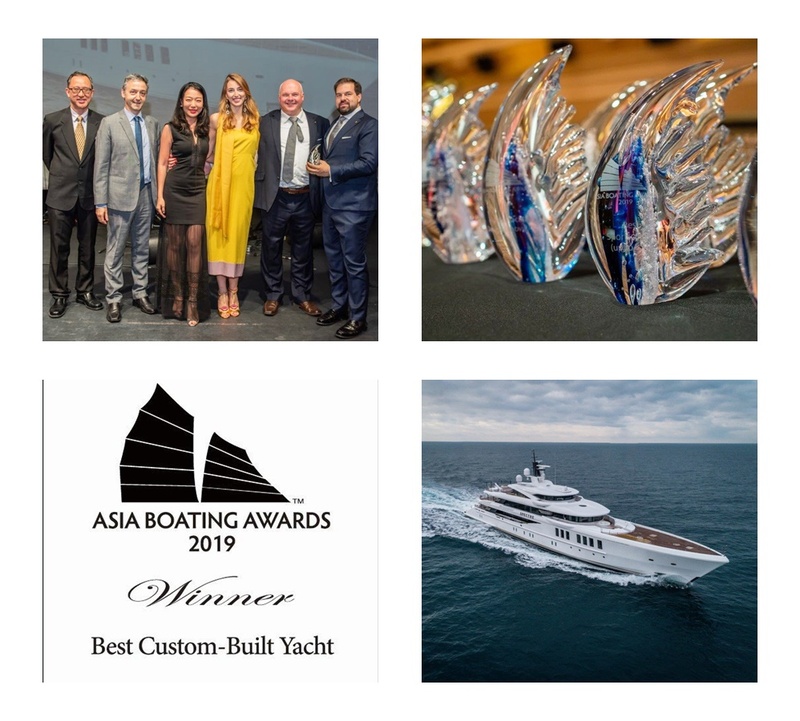 During the gala event held on the evening of April 10 at the Capitol Kempinski Hotel in Singapore, M/Y “Spectre” won the Best Custom-Built Yacht category at the Asia Boating Awards 2019. “Spectre” scored this huge success with her innovative technology and remarkable performance, achieving the perfect balance between sportiness, efficiency and comfort on the back of a total 750,000 hours of work. One of the distinctive features of this totally custom yacht is the hull designed by Dutch firm Mulder Design. 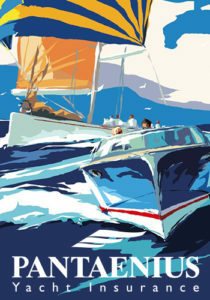 The “High Speed Cruising Hull”, as the firm’s founder Frank Mulder calls it, delivers incredible performance while keeping total weight to a minimum. 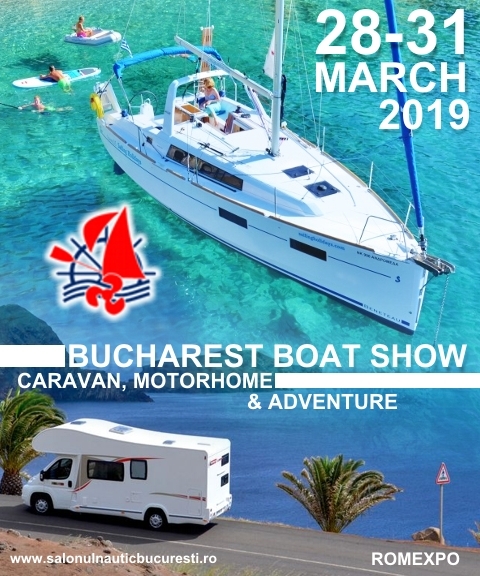 The top speed of 21.2 knots is 30% faster than a traditional displacement hull and the yacht has a range of 6,500 nautical miles at a speed of 12 knots, with fuel consumption of between 200 and 238 litres. “Spectre” also features Total Ride Control® technology by Naiad Dynamics1. With the collaboration of Mulder Design, this is the first time that technology developed by Naiad Dynamics for commercial vessels has been adapted for use on this type of yacht. The system significantly improves the cruising stability of “Spectre” and on-board comfort using two roll stabilizing fins, two forward pitch control canards and three independently controlled stern interceptor blades. The sporty exteriors by Giorgio M. Cassetta accommodate generous interiors, in a dialogue characterised by influence without imposition. The decor, designed by the Benetti Interior Style Department, has a modern feel embellished by steel detailing and sculpted glazing. The atmosphere conjures up the 1930s Art Deco style found in New Orleans and Florida, which in turn draws its inspiration from late 19th century French Liberty style.